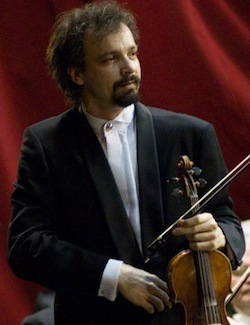 Dejan Bogdanovic began his violin studies at the Art Academy of Novi Sad University, one of the most prestigious cultural centers of the former Yugoslavia (Vojvodina), and later graduated from the Tchaikovsky Conservatory in Moscow under the tutelage of the famous violinist Viktor Tretiakov. Mr.Bogdanovic attended the School for Specially Gifted Children. At that time he was a multiple winner of the National Prize for Young Violinists. Mr. Bogdanovic began performing at the age of 10 and, at 17 he gave his orchestral debut with the Dubrovnik Philharmonic Orchestra performing Paganini’s First Violin Concerto. From that moment he began performing with many Chamber and Symphony orchestras, such as Philharmonic Orchestras of Belgrade, Zagabria Soloist, Philharmonic Orchestras of Sarajevo, Monstar, Prague, Vienna Youth Orchestra, Orchestra of Festival ofPortogruaro and Khumoand among many others performing most of violin concerto repertoire. He also performed in recital throughout Canada, Former Soviet Union, Hungary, Czech Republic, Finland, Italy, Spain, Austria, and Germany. At the age of 19, Mr. Bogdanovic became a Laureate at the International Competition of Vienna (final round was broadcasted on Eurovision). In 1987 he was the First prizewinner at the National Yugoslavian Artist Competition. This prize has been given only to three violinists during the past 50 years. Mr.Bogdanovic was a guest artist at many International Festivals, including Khumo International Festival (Finland), Dubrovnik Summer Festival, Portogruaro Music Festival (Italy), “Casals” Music Festival (France), and the Festival of Rome “Ciril e Metodie”. He has recorded for broadcast Companies in Austria, France, Italy, Finland, Spain and Russia. At the age of 21 Mr. Bogdanovic became the youngest teacher at the Art Academy of the University in Novi Sad. He taught in many master classes throughout Italy: Bolzano Siracusa, Padova, Portogruaro, Trieste, Salerno, Pesaro and Chioggia. 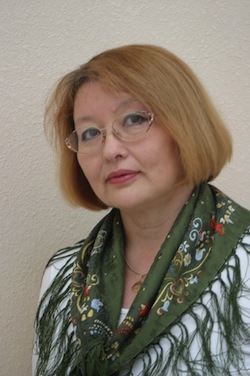 Raisa Mussakhajayeva graduated with High Honors from the St. Petersburg State Conservatory in 1980, where she studied with Professor Michael Vaiman and Michael Belyakov. Ms. Mussakhajayeva has been teaching violin very successfully for the past 30 years, and specializes in students starting from the age of 5 through graduate level. She gives her students the best of the Russian Violin School tradition, superior technical skills, beautiful violin sound and very interesting score interpretation. Among her students there are winners of National and International Competitions, such as the Michaelangelo Abbado International Competition (Italy), Franz Schubert International Competition (Italy), A. Yampolsky International Competition (Russia), Rovero d’Oro (Italy), etc. Many of her students are members of State Orchestras of Kazakhstan. Some students went on to study further at Universities in the United States and Europe. Ms. Mussakhajayeva serves as the Vice-President at the Kazakh National University of Arts (in Astana, the new capital of Kazakhstan. Ms. Mussakhajayeva gives master classes at the International Music Festivals in Italy, Austria, Germany, France, and Russia. She frequently serves as a jury member in the International Competitions.